Four times in the past ten years Democratic lawmakers and union officials have tried to pass a bill restricting businesses from talking to their employees about unionization efforts only to have Attorney General George Jepsen inform them in 2011 — and again in 2018 — the bill would violate federal labor laws. Now, with newly elected Attorney General William Tong as the state’s chief attorney, they are trying again. Labor leaders at the state capitol pushed hard for the 2018 bill, which passed out of the Labor and Public Employees Committee and the Judiciary Committee. The bill died when Jepsen issued a formal opinion saying the bill was pre-empted by the National Labor Relations Act, which governs employer/employee relationships, particularly when it comes to union organizing. The proposed bill could be a first test for Connecticut’s new attorney general. 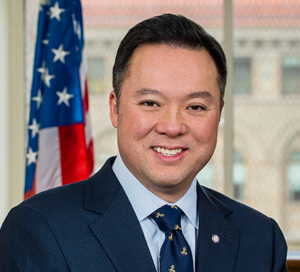 Tong is a former Democratic State Representative who served as chairman of the Judiciary Committee and voted to pass the 2018 captive audience bill out of committee. Tong was also backed by the Connecticut AFL-CIO in his election bid against Republican Sue Hatfield. But while the state’s attorney general has changed, it is unclear whether his interpretation of federal law and the proposed bill will be at odds with Jepsen, who was also a Democrat. The opinion of the attorney general matters because if the bill is passed Connecticut could face a lawsuit by businesses or the National Labor Relations Board. Scott Shepard, Director of Public Policy at Yankee Institute and a law professor, says the neither the political change in the legislature nor the election of a new attorney general changes federal law. Previous Connecticut attorney generals have offered to defend a captive audience bill but have never suggested it could survive a pre-emption challenge. Former Attorney General Richard Blumenthal in 2007 testified and offered a letter supporting captive audience legislation but “relied on the presumption of constitutionality of statutes in concluding he would defend the legislation against a federal preemption challenge,” according to Jepsen’s 2018 opinion. Blumenthal did not offer an opinion as to what a court might ultimately decide. Blumenthal’s letter, however, was released before the U.S. Supreme Court issued its decision in Chamber of Commerce v. Brown which ruled against a California law prohibiting employers who receive state funds from using those funds to deter union organizing. “It concluded that California was attempting to regulate an activity – employer speech about union organizing – that Congress had intended to leave with ‘a zone protected and reserved for market freedom,’” Jepsen wrote. The Attorney General’s Office says they are not aware of any formal opinion by previous attorney generals ever being withdrawn in Connecticut, although the practice is fairly common at the federal level. But it does leave open the possibility of Tong supporting the legislation in a manner similar to Blumenthal – essentially assuming the statute is legal simply because it was passed, but not offering an opinion as to whether it would be upheld if challenged in court. The bill, if passed by the Democrat majority in the House and Senate, could also be a test for Gov. Ned Lamont, who rode a wave of union support during his campaign — namely, whether he would sign a bill that contravenes the formal opinion of a state attorney general and potentially open Connecticut up to a court battle. Following Jepsen’s opinion, Fasano said the legislation should be a “non-starter” for the state. “Trying to muzzle one side violates the core values on which our nation was built,” Fasano said at the time. The 2018 bill was opposed by both business and hospital associations. The Connecticut Business and Industry Association presented testimony in 2018 from a former member of the National Labor Relations Board. Charles I. Cohen said the bill would violate employers’ free speech rights which are protected under Section 8 of the National Labor Relations Act. “We see any legislation like this as an interference to communication between an employer and employees,” said Eric Gjede, Vice President of Government Affairs for CBIA in an interview. “Last year there were a lot of things that fell under the label of political activity. Companies wouldn’t be able to talk to their employees about regulations and legislation which directly affected them,” Gjede said. Section 8 of the National Labor Relations Act also includes a list of restricted employer activities related to union organizing, such as threats of job or benefits loss.